Kimberly Ann Palmer, 59, passed away September 13, 2018 at St. Vincent Hospital in Evansville. She was born in Huntingburg, Indiana on May 22, 1959. 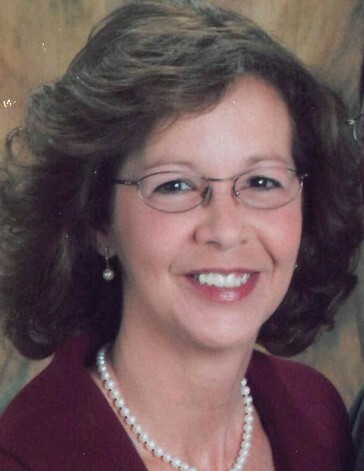 Kim was a 1977 graduate of Southridge High School and earned a degree as a surgical technician where she had worked at Welborn and Daviess County Hospitals. She was united in marriage on April 12, 1980 to Dennis Palmer. Kim enjoyed spending time with her grandchildren and volunteering at Indiana Horse Rescue South. Surviving is her husband of 38 years, Denny Palmer, Chrisney; children, Ryan Gasser (Jamie), Huntingburg, Eric Palmer (Heather), Newburgh, Kara Palmer (Tim Harper), Mesa, Arizona and Kate Goldsberry (Zach), Fischers; her parents, Dennis and Patricia Stetter, Huntingburg, IN; sisters, Lisa Faulkner (John), Tell City, Tina Niehaus (Scott), Brazil, Jill Stout (Shawn), Waco, Texas and Trisha McAfoose (Doug), Dubois; eight grandchildren, Colton and Camden Gasser, Asa, Jax and Lola Palmer, Palmer Harper, Taylor and Drake Goldsberry and several nieces and nephews. Funeral services will be held at 11:00 AM CDT Monday, September 17, 2018 Huber Funeral Home, Tell City Chapel. Rev. Jerry Daniels will officiate. Burial will follow in Troy Cemetery. Visitation will be Sunday from 1:00-6:00 PM and Monday 9:00-11:00 AM at the funeral home. In lieu of flowers, memorial contributions may be made to Indiana Horse Rescue South.